Getting a deal on official PlayStation gear is actually pretty tricky, but thanks to Jet, US Cyber Monday PS4 deals hunters can nab themselves an official, black, DualShock 4 pad for $39.99 right now from Jet. 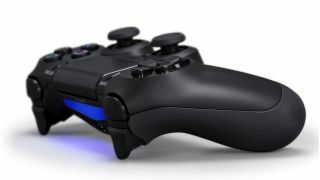 That's $10 off the usual RRP, and seeing as DualShock 4 deals are basically gold dust for the rest of the year, if you're looking to pick up an extra pad, now's the time to hit that buy button. Unlike consoles or games, it's rare to get a deal on any official PS4 accessories so even $10 off is a great offer to snap up in what's bound to be an onslaught of Black Friday game deals. Of course, here at GamesRadar, we're sifting through all the deals ourselves to bring you the best bargains, so you get a wonderfully curated snapshot of the best money-saving offers.